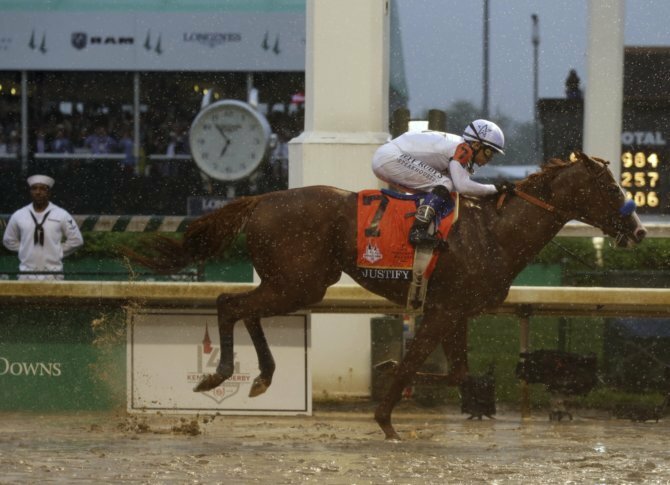 Justify splashed through the slop to win the Kentucky Derby by 2½ lengths on Saturday, becoming the first colt in 136 years to wear the roses after not racing as a 2-year-old. 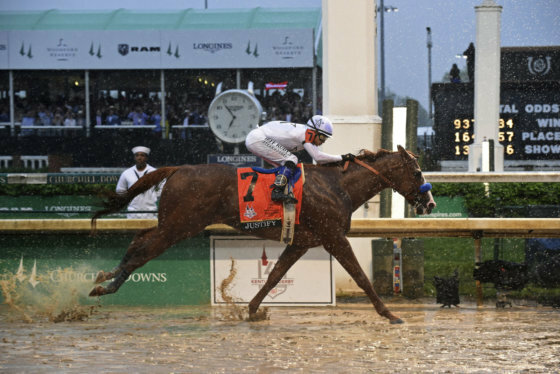 LOUISVILLE, Ky. (AP) — If you want to bust a racing curse, call Bob Baffert. Mendelssohn, trying to become the first Europe-based horse to win the Derby, finished last. The $3 million purchase was beaten by 53¼ lengths for Irish trainer Aidan O’Brien.